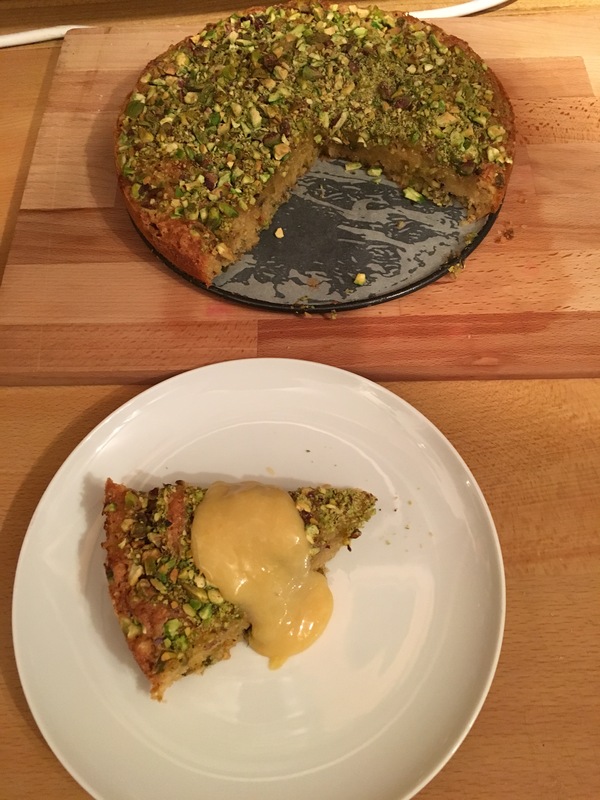 We have some leftover lemon curd that’s been in the freezer, so today we’re using it up in a Lemon Curd Pistachio cake Soph found the recipe for. And indeed Sop made the cake too — all I did was line the tin! 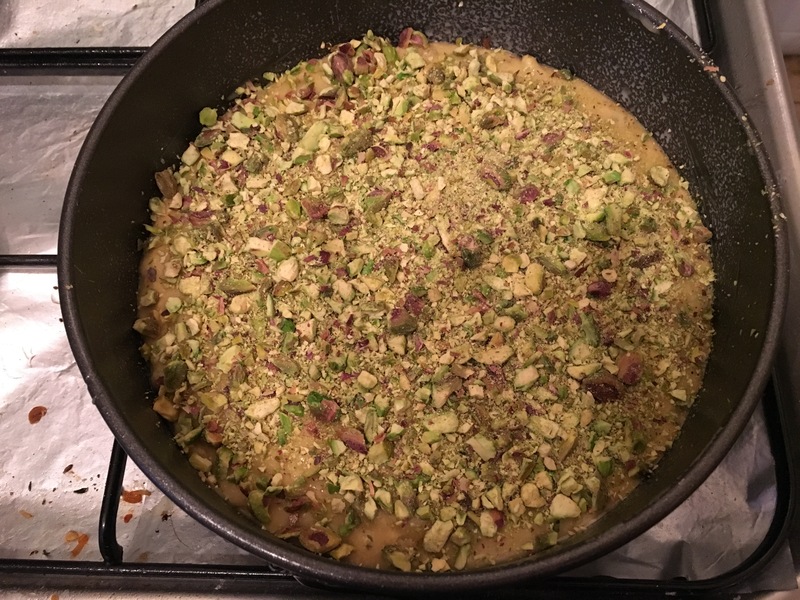 It’s a pretty standard cake, although very little butter and flour, to make room for loads of pistachios, then topped with more pistachios and lemon curd. Recipe somewhat confusingly says ‘let cool fully; serve warm’ — se we let mostly cool before testing a slice with extra lemon curd! And it it, unsurprisingly, delicious! Especially good with the extra lemon curd while still warm.